August 3rd marked the 24th anniversary of my existence on this world. While I didn’t pay much attention to my birthday, the important people in my life saw it as an opportunity to give me lots and lots of stuff. White/Coconut cake with butter creme frosting. 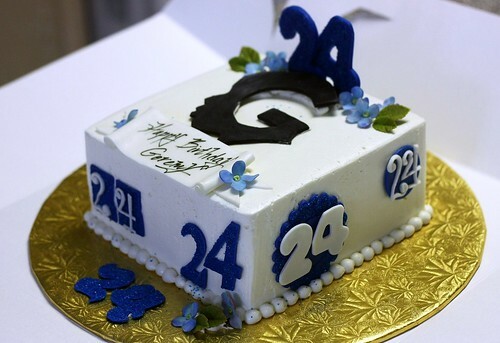 Decorated with my huge “G-Head” logo and 24’s in my favorite color. This cake was as huge as a wedding cake and tasted absolutely delicious. 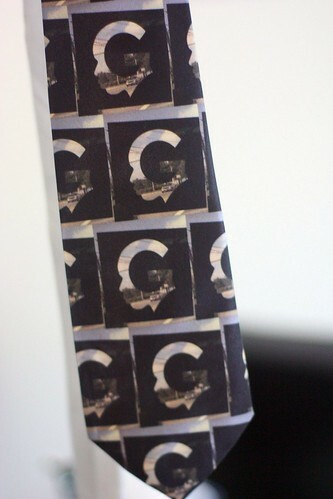 G-Head logo tiled on a tie. I plan on wearing this tie to my wedding!! 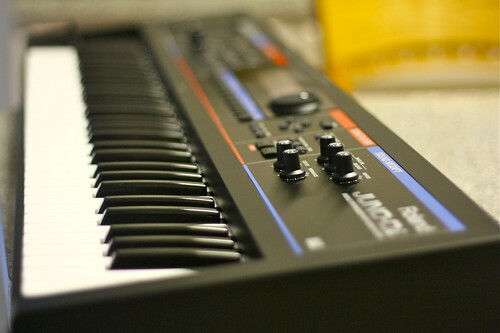 With this synthesizer, I can add batteries and plug in a USB memory stick, a microphone and a speaker and BAM I’ve got a one man traveling band! Everyone is invited to my shows!! Thanks to all who made my birthday feel extra-special. Now that I’m 24 years old, I plan on coming up with a greater plan to make this year the greatest year ever. Maybe this might be the year that I finally get the opportunity to purchase a zebra!